YES! More, harder, that’s it, that’s it, right there….. Whether you simply would like to enjoy a relaxing massage, a professional massage therapist, or even a chiropractor, you’ll find several options in Tamarindo to satisfy your needs. You can find them at different locations, on the beach, at Spas, and some will even come to you house or Condo. Feel free to ask us for a recommendation, and we’ll be happy to tell you about our favorite places. You deserve to be pampered. We have a well prepared international airport with an increasing traffic less than 1 hour away! 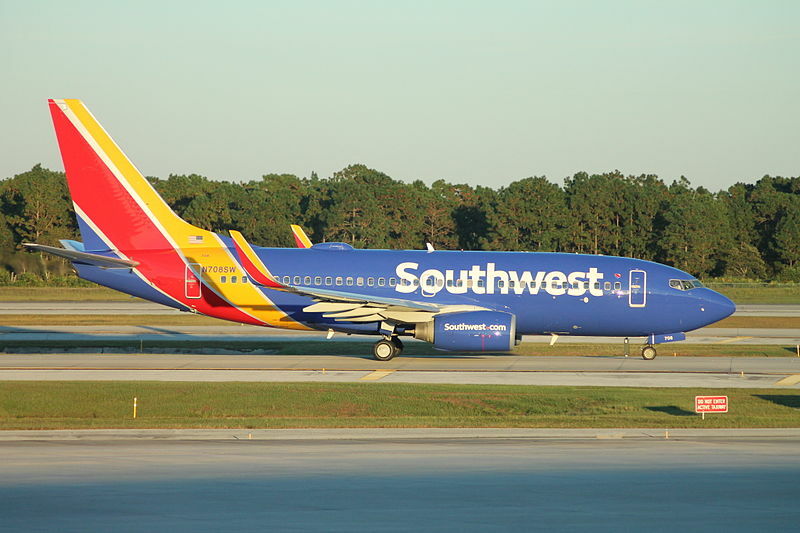 November 2nd, 2015 (ICR News) Costa Rica’s Daniel Oduber International Airport in Liberia, Guanacaste received its first arrival by the world’s largest discount airline, Southwest Airlines on Sunday with 127 passengers on-board that departed from Houston, Texas. The inaugural Southwest flight marked the opening of the company’s new daily route between Houston and Liberia, which the company announced in May. In addition to daily service from Houston, Southwest will also offer once-per-week service on Saturdays between Baltimore and Liberia beginning this Saturday. Meanwhile, the British charter airline, Thomson Airways, is set to make its inaugural flight to Liberia on Monday from London’s Gatwick airport with some 300 passengers aboard a Boeing 787-800 Dreamliner. “This is a package holiday flight for 300 people who will arrive on Monday of each week to [Liberia], Costa Rica, from November to April,” Luisa Pastor of the British Embassy in San Jose said of the new Thomson service when it was announced last month. Inner peace on the ocean! In Tamarindo you can not only find your dream home, but also inner peace! Costa Rica has become one of those destinations were people come to relax and find inner peace. Many people in Europe and North America are living very busy lives with demanding jobs, administrative hassles and a variety of other obligations, many of them trying but not always succeeding to find a balance between their career and quality personal and family time. Costa Rica, with its abundant nature and wildlife, offers an ideal escape from these hectic lives. On the many desolate beaches and the vast but accessible jungle, one can find beautiful spots to meditate and reconnect with nature and one’s inner self. Yoga classes of all kinds and levels can be taken in almost any beach town and even at jungle lodges. Tamarindo is one of those towns where yoga is a part of life, with a wide array of yoga studios such as Ser Om Shanti and ReFlexion, yoga classes for all ages and levels and many yoga teachers available. Many hotels and lodges have a yoga teacher on site and are equipped with open-air yoga decks, some of them offering breathtaking ocean views, others located right in the jungle with curious monkeys luring from the trees. Ever tried yoga on water? Doesn’t this sound like a wonderful way of quality time, just you, your board and the quiet of a beautiful, isolated cove? 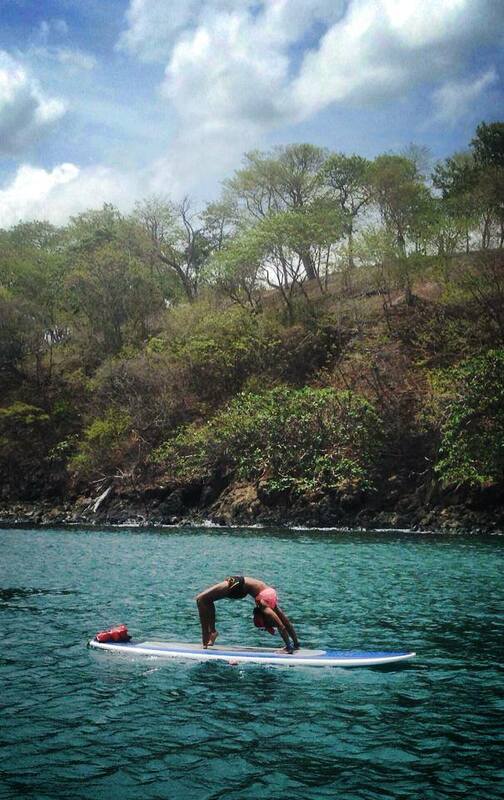 Stand Up Paddle Yoga or SUP Yoga is being practiced actively in the Tamarindo area. It gives your soul a boost! So, when you find that home of your dreams in Tamarindo, you will easily exchange that hectic life for the Pura Vida lifestyle! Combine yoga with the many other relaxing activities Tamarindo has to offer, like martial arts, massages, horse back riding or simply a stroll on the beach in the early morning, and you will achieve reconnection with here and now in no time! You can make living in Tamarindo not only a journey to the sun and beach, but also a journey to your inner self!